Not too long ago we called the Nexus One’s 3.7” display “massive and beautiful,” but my how times have changed. The DROID Incredible features a similar AMOLED display, also at 3.7” inches, but it looks downright tiny when sitting next to the EVO 4G’s 4.3” TFT panel. Never has such a big screen seemed as inadequate as it does on the DROID Incredible. As we mentioned in our HTC EVO 4G review everything is just better on the big screen. EVO owners are really going to be spoiled; even going from the EVO to the Incredible makes things like web browsing feel cramped. In terms of technology, AMOLED should have the edge, but in the eye test we generally found the EVO’s TFT display to outperform the Incredible. The AMOLED display has much better black levels, but as we’ve seen with the Nexus One and Samsung Moment the whites on the DROID Incredible are very blue. The EVO’s display was actually brighter and held up well in direct sunlight, thought the Incredible was better to read off-angle. This is probably software related, but when using the auto-brightness setting the EVO was consistently brighter and easier to read than the Incredible. The one thing that annoyed us the more we used it was that you could see each pixel on the Incredible’s screen. While the Incredible’s display pops a bit more, the EVO’s is smoother and more realistic. For such a big difference in screen size the EVO 4G isn’t really much bigger than the HTC DROID Incredible when the two are sized up. The Incredible is noticeably narrower, which makes it more comfortable to hold one-handed, but there is a lot of wasted space around the display (plus the addition of an optical joystick) which makes it nearly as tall as the EVO. The Incredible is marginally thinner, but the blocky back feels a bit awkward especially compared to the smooth, tapered lines of the EVO. The wideness of the EVO is what will turn some people off, and for those people the Incredible is probably the way to go. The Incredible is likely a better choice for the ladies because it is a bit more chic than the masculine EVO, but we really can’t see going back to a smaller display after experiencing the EVO. Held two-handed the HTC EVO 4G's wideness now feels perfectly natural, whereas the Incredible feels too narrow and small. Both are very solidly built phones, though between the two the EVO 4G feels better. There are a few creaks on the HTC DROID Incredible and the soft-touch paint on the EVO is a little bit softer and the plastic used feels a bit cheaper on the Incredible. The EVO 4G is 1.4oz heavier than the DROID Incredible but the weight is distributed well without feeling overly heavy; the Incredible also spreads its weight well and feels good in the hands and pocket. The EVO 4G gets bonus points for its super-cool and handy kickstand. You know what PHONE ARENA, YOUR bias. my display is amoled and better than the EVO'S, my friend has one and he doesn't like his screen in sunlight second. The same speed! no different i tested, 1 percent maybe, that doesn't kill the incredible. And by the way i hate you, the incredible's back design is so crappy to you, you gave it a 6.5 because it is wiered and uninspiring. yah the EVO has a completly flat back and front, whats so insprieing. Plus my service is better coverage because sprints roaming although verizon has choppy parts and low 4g area's. On comparison my 3g speed was on par with sprints 4g speed if not better half the time. So beat that phone arena. Holy crap dude! Get a dictionary, or at the very least, use the spell checker that is provided below. Might I also suggest some counseling? Ummm...if they're dissing Verizon, why did they say that the call quality was slightly better on the Incredible? Just saying. wow cry a river its an OPINION dont like someone elses opinion then dont except it as fact. I agree that this review is a little unfair. The Incredible is basically a EVO without 4g and a few other features. I have an Incredible and I am VERY happy with it. It defiantly deserves a better review than was given on this site. My opinion is that the Verizon network's superior coverage makes up for the difference in specs. lol dude relax, im just pist at phone arena, they do this to like every phone when nothing has really changed or something is so good and they say its garbage.... and also i dont see many spelling errors. Oh btw, i was just saying stuff quickly cause i needed to go but i wanted to reply so no i didn't use full sentences at all. ...full sentences, propper grammar, punctuation, nor spelling. Nice. 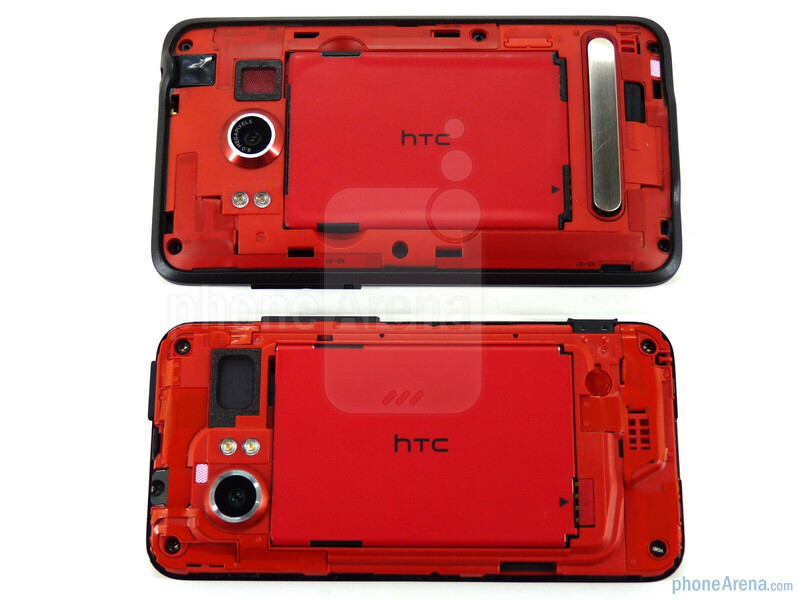 Wouldn't it make more sense to do the EVO 4G vs. the HD2.? My HD2 looks pretty darn good. It's interface has been highly customized. In my case android doesn't have an edge in the interface. Spec wise, the EVO is the HD2 with more added. The EVO is, in my opinion, better, but it's always nice to see how people compare high end devices. It just seems like Phonearena is trying to find a way to Diss verizon. Of course the EVO is going to outperform the Incredible. Its a bigger phone with more room to ramp up the specs. I see there was no comparison done with the incredible and the Iphone 3Gs. Let me guess...didnt want to upset ATT. And the EVO will outperform the Iphone 4.
actually if youd read their evo review apple got bashed pretty hard (and hell, in their iphone reviews they knock apple.) i dont see how theyre going out of their way to bash vzw here, the two phones are similarly spec'd so the evo shouldnt be as far ahead as it is. Why would they waste the time comparing the EVO or the Incredible to an outdated iPhone? Pretty sure they're waiting to compare them to the iPhone 4, which they will both still be better than overall in any case. Funny this is that Phonearena isnt just dissing the phone, it is actually truth, i would have your friend with the EVO do an exchange for another one, my evo perfoms flawlessly whereas my brothers incredible will hiccup. The evo can be read to some extent in the sunlight, the incredible is a no go. Personally, i wish the evo was the same size as the incredible, and i also wish it had a optical sensor for navigation. but it doesnt, and i can understand why, but my EVO still trumps my brothers phone in every sense. Even data speed (tested in Vegas) Its nothing about being biased, its just that the company has to not show preferrential treatment, every company posts unbiased reviews, the only difference is that they dont all have the exact same device to test, so if someone receives a bad test unit, it isnt their fault for writing their experience. You guys should chill out. 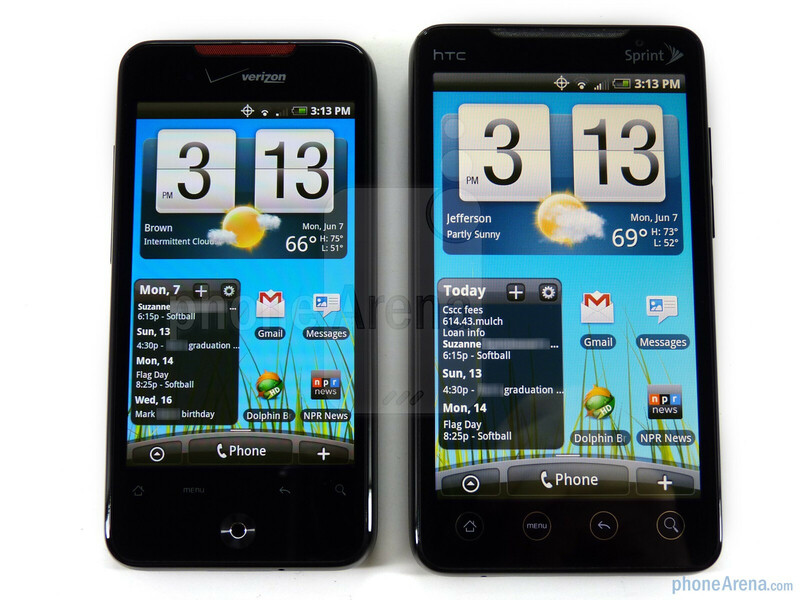 Thanks Sprint and HTC, you two companies have satisfied this customer for at least another year. My new Evo is a definitely a winner and my eyes Apple not withstanding. It does everything I need it to do and more. I'm averaging 3.5mbs down and 1.0mbs up using the 4g radio in Dallas, Tx and that’s with 1 bar of 4G. Only thing I'm missing is flash 10.1 and I'm sure that will come soon enough. Coming from a Pre, the battery life is just fine although my one trick pony Blackberry is far better. I have chargers at the office, in the car, and of course at home, so no worries there and Seido just launched a 1900 mah battery for $50 so if need be, I'll cop one. Apple had a good showing no doubt, but it has to carry their flag for a whole year. In a few short months, their will be more Droids than you can shake a stick at and as always they will take the ball further into pay dirt. Yes, flash 10 is the only thing I feel I'm missing now, so I can view websites properly and watch espn3 and such. Also a .flv player would be nice. Hurry up with that froyo update HTC, and also update your battery widget from the marketplace because its too small for the EVO as it is (but still usable, just small in comparison). That is all. 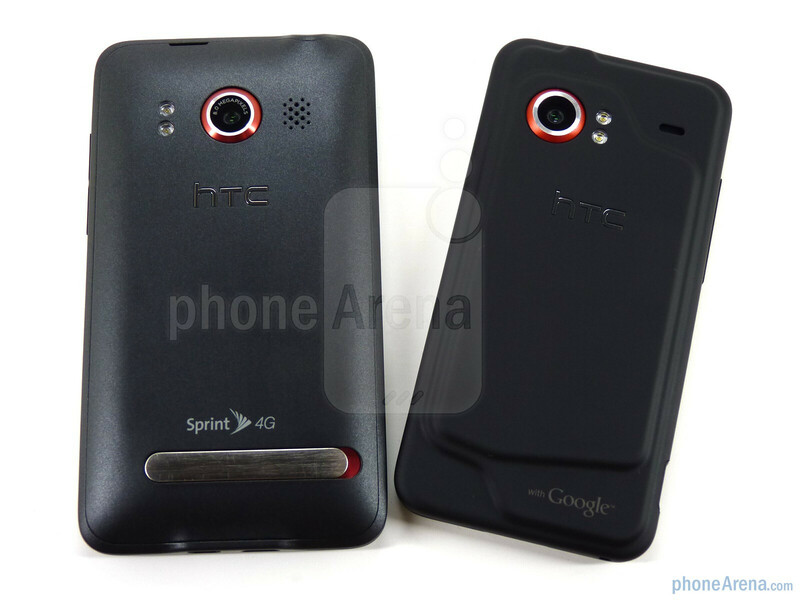 Sprint the best value in wireless (up to $30 cheaper per month with 4g than vzw and att with full 3g) finally has a winner with the htc evo!!! My friend has an EVO 4 G and my screen looks way better then his, thats because the Incredible has AMOLED display which the HTC EVO DOESNT and its very NOTICIBLE, but PHONE ARENA will never show this as they will never bash the new EVO. Screen is a huge thing as you always look at it and its very noticible, pictures are much sharper and better looking.